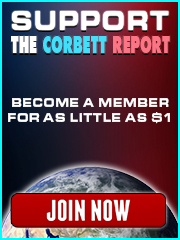 http://www.corbettreport.com/mp3/2015-09-03%20Financial%20Survival.mp3 This week on Financial Survival James and Alfred discuss how central banks manufacture our economic reality, not out of immutable laws of nature, but on the back of an agreed upon medium of exchange whose rules and conditions they set. We talk about the ramifications of these central bank manipulations on the economy as a whole and what this means for the future of the world. 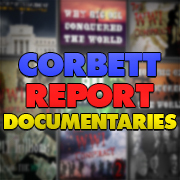 https://www.corbettreport.com/mp3/2015-03-12%20Financial%20Survival.mp3 The USDX has been rising steadily since last summer…but why? Can it be sustained? Is the dollar due for a fall, and if so, what is going to take its place. Join James and Alfred for their weekly conversation on finance and politics as they discuss the dollar, the Fed, the Eurozone, the yuan, the SDR, and the fate of the global economy. Today James appears on The Sage of Quay Radio Hour to discuss how the alt media is failing to live up to its promise of providing a true alternative to MSM propaganda by constantly reacting to the MSM memes and idea, and how the independent media can overcome this by promoting the positive solutions and alternative infrastructures that are now possible. We also discuss what Edward Snowden and his “revelations” really mean and then wrap up with James giving his insights on the de-dollarization being pursued by the BRICS alliance lead by Russia. David L. Smith of the Geneva Business Insider joins us to discuss the currency war underlying the global quantitative easing craze. From Europe to the UK to the US to East Asia, central banks around the world are engaged in a race to the bottom, and as usual it’s the average joe who pays the price. Today we talk about this trade war by proxy and its consequences, as well as how people can protect their wealth for whatever financial turmoil might be coming.